Those who like watching Yahoo! media and own a iPhone or a iPad are in for a treat. Yahoo! today released a new App for iOS devices called Yahoo! Screen. Yahoo! Screen will act as a hub for all Yahoo! media content and you need not open separate windows for watching different media releases from Yahoo. Yahoo! Screen for iOS devices is yet another initiative by Marrisa Mayer to take Yahoo to smart phone and tablet users. The App has gesture based features which allow you to control and/or change channels just by swiping up or down. To toggle between episodes you just have to swipe left or right. 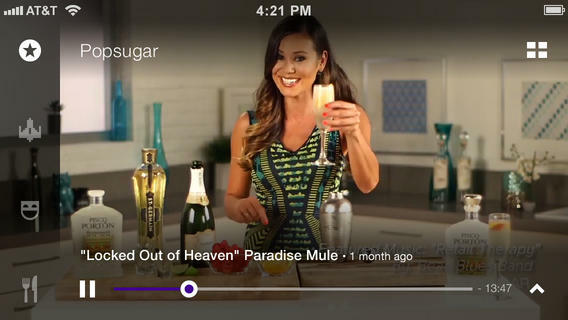 To make you viewing experience more pleasing Yahoo has partnered with Viacom to bring Viacom content to the App like 'The Daily Show' and 'The Colbert Report'. While these two will be shown just in clips, Ghost Ghirls and Losing It With John Stamos will be available as full shows. You can also find great Yahoo! video content like Major League Baseball, UFC, The Onion, Martha Stewart etc for free. To download the App for your iOS devices please visit Apple Store now.